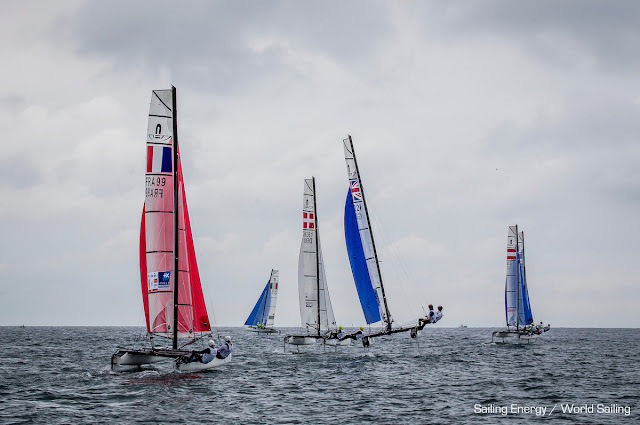 Photos of the medal Race by Sailing Energy / World Sailing - The Medal Race was an exciting one as final positions were changing every minute, the Outteridges, Waterhouse-Darmanin, Bissaro-Frascari & Tita Banti were fighting for the podium. 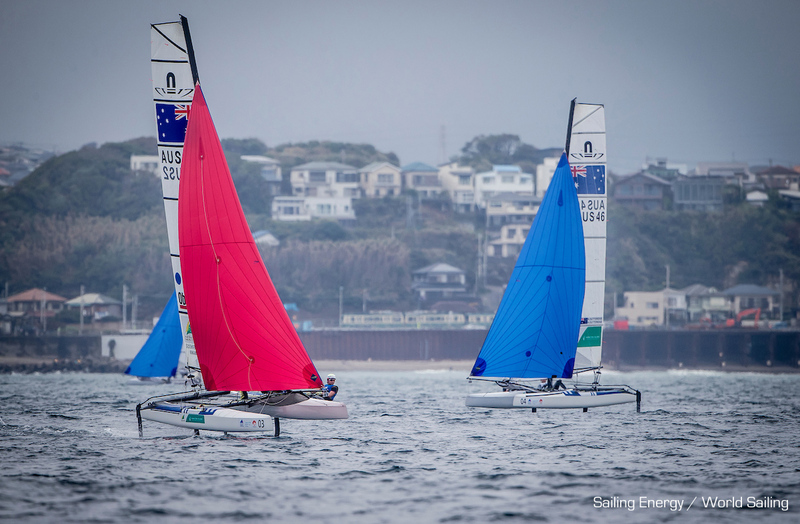 In the end the Rio Silver medalist prevailed and scored an important regatta win for their 2020 aspirations, as the Outteridges 'rookies' are coming full bore to grab the Aussie spot for next Olympics. Tita & Banti dominated part of the event, but when wind conditions are not that even or constant their usual bullet game seems to downgrade a bit. 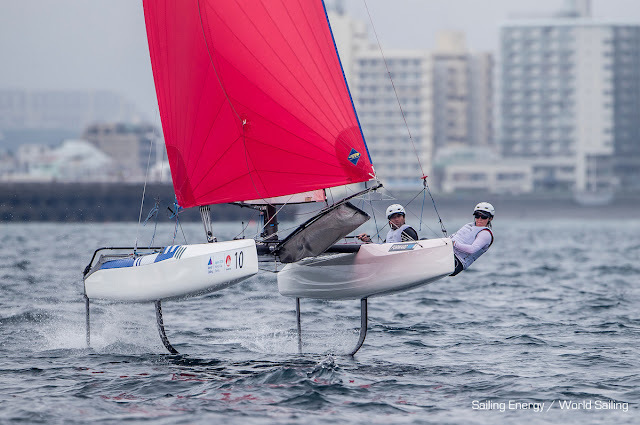 They scored a 4th in a tricky Medal Race, which was not enough for the first place, they finished second overall. 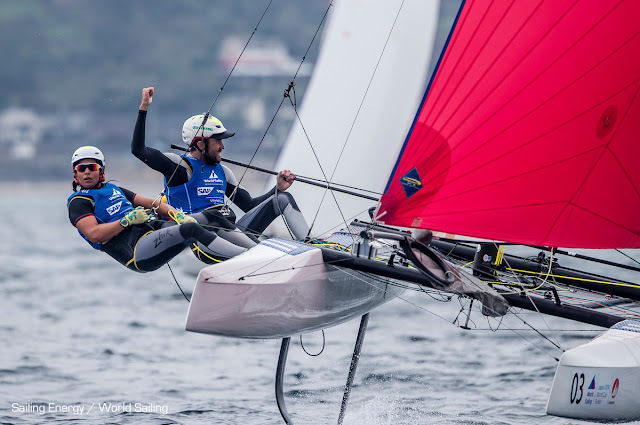 Their Italian teammates Bissaro & Frascari finished second in the Medal and a great third place overall. Besson & Riou ended in 8th place overall. A nice comeback for the French team. Watch the MR race Live replay in video embedded above.